Sir Topham Hatt sends Scruff to work at the quarry. 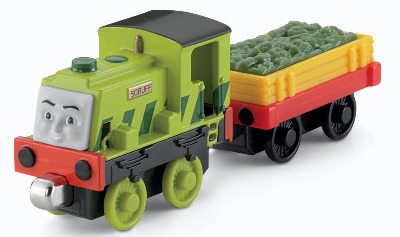 However, Scruff wants to get dirty. Mavis tells him you can get dusty at the quarry. Scruff decides the quarry isn't a bad place after all, but he was glad when he went home.